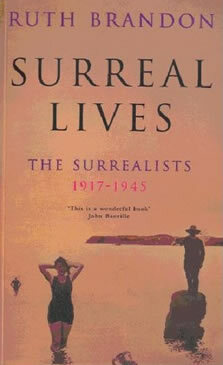 Mention the word ‘surrealism’ today, and certain visual images spring to mind. Man Ray’s glass tears, Magritte’s rain of bowler-hatted men, Salvador Dali’s waxed moustaches and soft watches, are familiar to millions. And images such as these inevitably lead to certain assumptions about Surrealism: that it was primarily concerned with the visual arts; that it was about jokes; that it was designed with a beady eye to the market. Nothing could be further from the truth. Surrealism began among poets whose aim was to create a revolution, both political and artistic, combining the visions of Freud, Marx and Sade. Jokes always formed part of the mix, but the movement’s leader, André Breton, was a man of the utmost gravity – indeed, almost totally without humour – to whom commercialism was anathema. And although the group always included some painters, it was not until fairly late that the visual arts came to occupy a dominant place in the Surrealist canon. Surreal Lives shows how one man – André Breton – moulded a group of wild and brilliant spirits to the vagaries of his character. His charm was legendary. Yet his qualities were not particularly attractive: he was rigid, bullying, humourless and unforgiving. Passionate about freedom, both personal and artistic, he was totalitarian in his impulses, a dictator in the age of dictators. What was the secret of his charisma? And can these two impulses – to freedom and to total control – possibly be reconciled? These are the contradictions at the heart of the Surrealists’ story.